The eclectic little shop, which has been run by Andrew Nosal since 1981, is closing up, a victim of Google maps and online shopping. Andrew Nosal at the Map Center. The world is a fascinating, complex place, and until we had the Internet, the best way to explore it was with a map — a real map, printed on paper. For generations, paper maps showed us the world, its mountains and seas and changing borders, our local hiking trails and canoe access sites. Traveling salesmen used maps to plan their routes, and families depended on them for summer road trips. For Rhode Islanders, the best place to find any kind of map has long been The Map Center, a local institution since the 1950s. But now, the eclectic little shop, which has been run by Andrew Nosal since 1981, is closing up, a victim of Google maps and online shopping. Nosal has long endeavored to keep the store stocked with anything a map user might need. 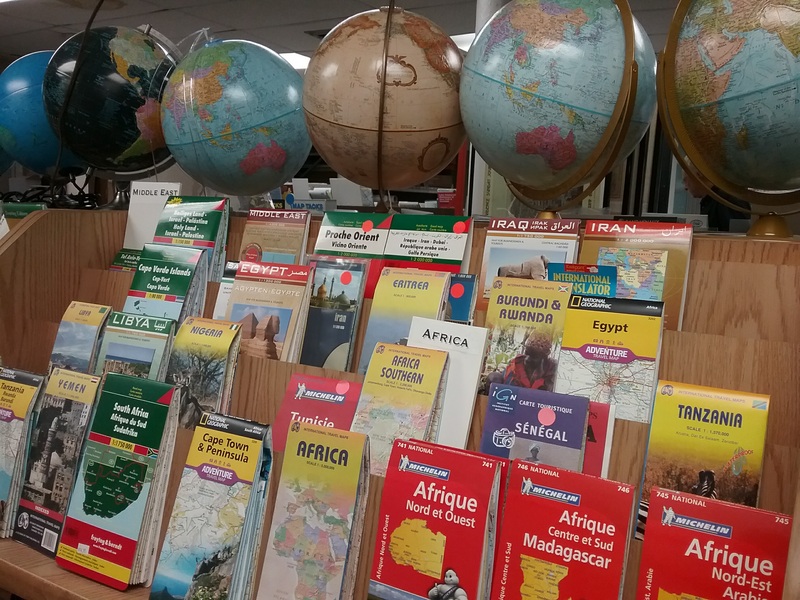 You’ll find globes of all colors and designs; atlases; star maps; laminated maps; paper maps of Mount Katahdin, Burundi or Libya that you can fold up and keep in a backpack; and upside-down maps that challenge our world view, with Australia at the top and Alaska at the bottom. Maps of Narragansett Bay and Providence are still popular, Nosal says. 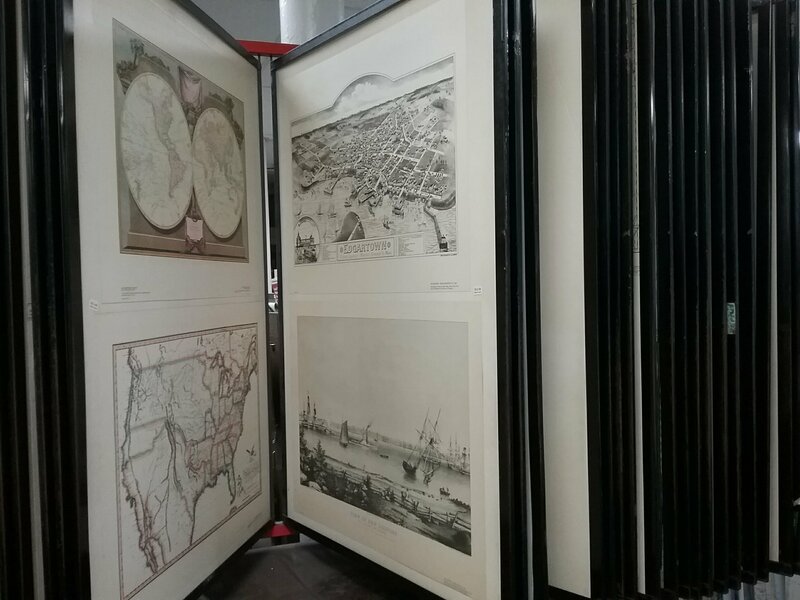 They’re works of art to hang on a wall, but Nosal adds that he still gets requests from customers who find maps useful. 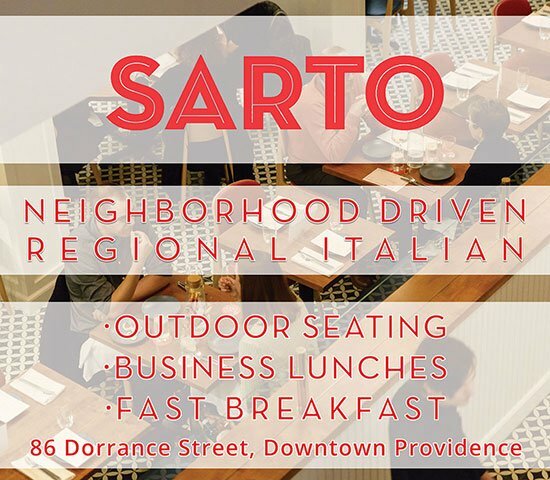 One huge wall map showing Southern New England was commissioned to help envision a company’s sales territory, and efficiently deploy their staff. 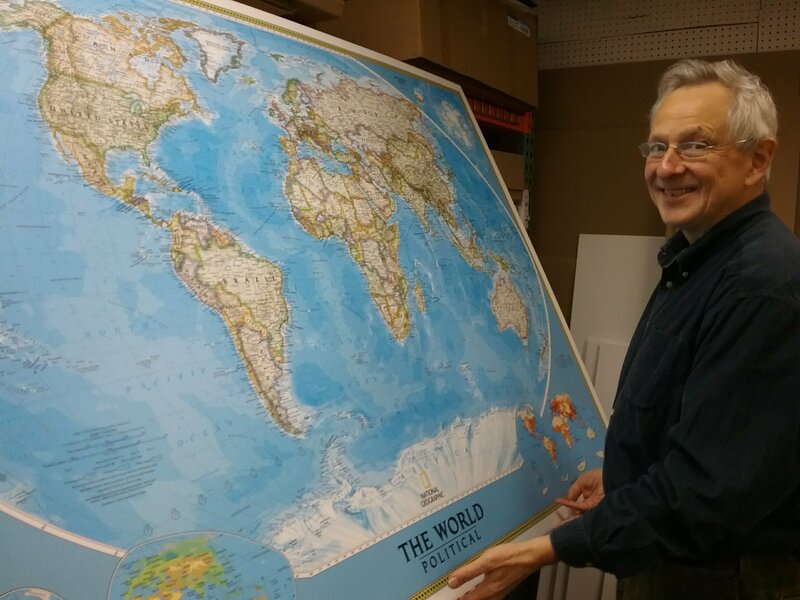 In his store, you’ll find map tacks, map magnifiers, and map markers, and flat files full of one-of-a-kind maps that customers are welcome to rifle through. You might find an old map of Moscow in 1989, or a local wetlands inventory, or a Providence urban-planning map from the 1960s. Not all of the maps have prices marked; customers are encouraged to make an offer if they find something they like.